Business today is a never ending race to the finish which requires ever refined coordination between team members and/or departments. Nothing captures the pure essence of team work like racing an eight person shell. Are you looking for a unique way to bond your people, enhance their skills in collaboration and accelerate their ability for project achievement? 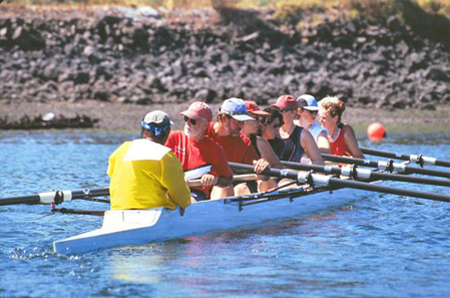 Using the rich metaphor of team rowing we can draw parallels as to how each person must take responsibility for the effectiveness of the group – the impact of one on the whole. Lasting success requires a balanced approach, good communication, trust, patience, flexibility and appreciation of one another’s various strengths. As a high-functioning team they can overcome any challenge they face. By implementing L.E.A.D.’s strategic management development solutions, you can retain and energize your talent for more profitable results!